HA NOI (VNS) — Shares last week continued to slide mainly over the slump in blue chips, as investors helped to drive down market liquidity by becoming more cautious following the previous week's decline. On the HCM City Stock Exchange, the VN-Index lost by 1.35 per cent over the previous Friday's close to end at 604.98 points. The average value and volume of transactions on the bourse reached VND2.8 trillion (US$132 million) and 140 million shares, declining by 26 per cent compared with that of the previous week. 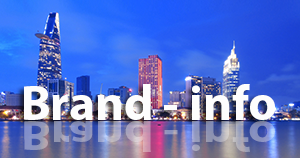 On the Ha Noi Stock Exchange, the HNX-Index also retreated by 0.38 per cent to 88.56 points. The daily trading value averaged VND1 trillion ($47.1 million), decreasing by 37.5 per cent, on a volume of around 72.5 million shares. PetroVietnam Gas (GAS) had a major impact on the market's decline in the first three sessions. Other stocks which are also subsidiaries of PetroVietnam alternated in affecting the indices. Meanwhile, securities and realty shares were actively traded, and this helped to keep the market from declining too quickly. Last Friday, blue chips such as Vingroup (VIC) joined those of Vinamilk (VNM), PetroVietnam Drilling Services (PVD), Masan Group (MSN), Vietcombank (VCB) and the Bank for Investment and Development of Vietnam (BID) among shares that were heavily offloaded, sending the VN-Index to the black. 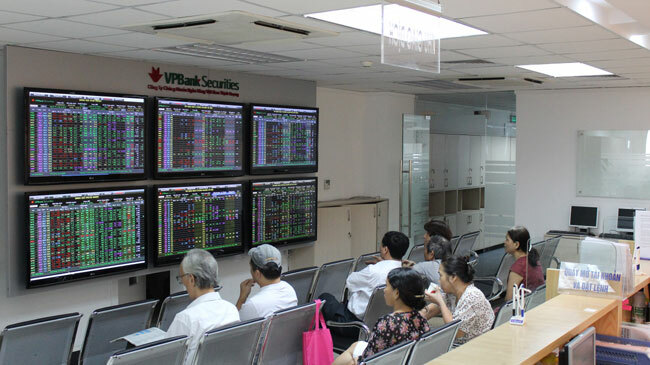 Although favouring Vietnamese stocks on some trading days, foreign investors concluded the week as net sellers by a margin of VND51 billion ($2.4 million). There is not enough support from the economy, which has shown signs of recovery but is still fragile, said senior economist Vo Tri Thanh at the Autumn Economic Forum 2014. "Structural reform, especially the equitisation of State-owned companies, is generally slow. This in turn reduces investment confidence," Thanh remarked. In the first nine months of this year, budget earnings reached just VND598 trillion ($28.2 billion) while budget expenses reached VND722 trillion ($34 billion), said Thanh adding: "The risks of financial instability exist due to higher non-performing loans and cross-holding in the banking system." 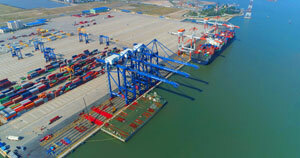 Some international organisations trimmed their ratings for Viet Nam's economy, with the expectation of gross domestic product growth at 5.4 to 5.5 per cent. "As credit is growing slow, the revision of the forecast is understandable," said Tran Hai Yen of Bao Viet Securities Company. However, she added, it did not mean that all shades of the economy were negative. "Under the current context, GDP growth needs not to be the top pursuit," noted Yen.